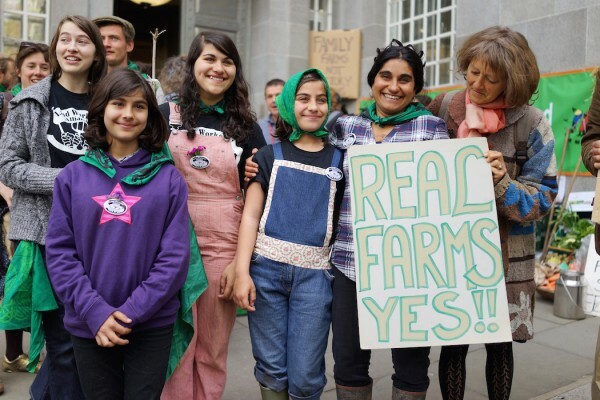 Where Next Now for the Community Food Movement? 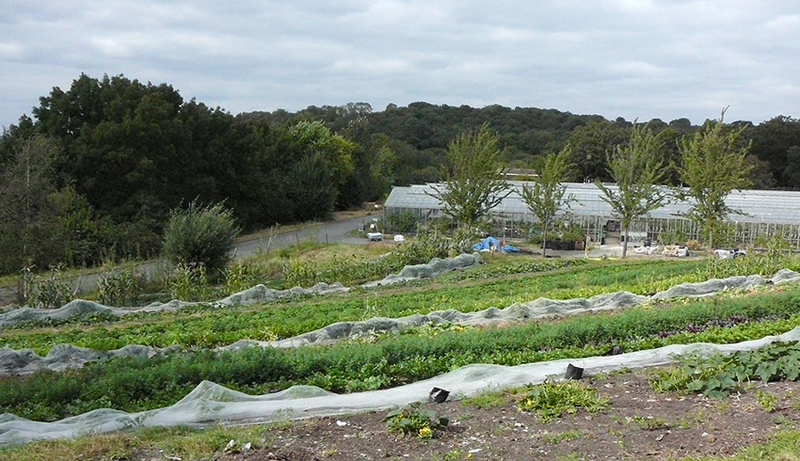 Five years ago I wrote and circulated the article “Where Next for the Community Food movement?” (this can be found at http://www.organiclea.org.uk/about/publications/) Its purpose was: “to prompt myself and hopefully others active in community food projects to reflect, analyse, even discuss, where we are, where we want to get to, how we might set off there, and who’s bringing the sandwiches.” A number of conclusions were drawn, and a number of suggestions made. Now might be a fine time to look back on what’s happened since: below, five key issues are discussed. Firstly, it was noted that community food projects (hereafter referred to as CFPs) had grown significantly in number and scope, and that this was having positive social, health and environmental impact at a local level, and beginning to exert an impact on national culture and institutions. In the five years since, this momentum has continued. New projects continue to pop up all over the country, whilst many existing ones have increased their capacity, for example employing people to produce food and provide training, educational and therapeutic opportunities. Whilst corporations like McDonalds and Sainsbury’s respond by trying to promote themselves as somehow close to the farmer in their false advertising, it’s a true story that grow-to-sell CFPs are finding easier routes to market through flourishing box schemes, farmers’ markets, independent processors, pubs and cafes. This groundswell of public opinion and consumer action has, however, not been supported by many moves in the policy environment. Perhaps the biggest success has been, after years of campaigning, the inclusion of food growing in the National Curriculum as of September 2014. The original essay stated, “CFPs are not a coherent movement, with shared ideas, organisation, aims and strategy.” It congratulated national organisations such as National Federation of City Farms and Community Gardens and SUSTAIN for their achievements and support, but made the distinction between “advocates” like these and the (lack of) networks of local, grassroots activism. What happened next: in 2010, eight groups came together and formed the Community Food Growers’ Network (CFGN). Over the following year we developed our organisation and processes, and our aims. The manifesto (https://www.cfgn.org.uk/manifesto/) sums this up nicely. In the five years since, CFGN have kept going and growing. Seasonal gatherings are held every quarter where members come together for mutual support, celebration and planning; and hundreds of people have attended our regular public events. 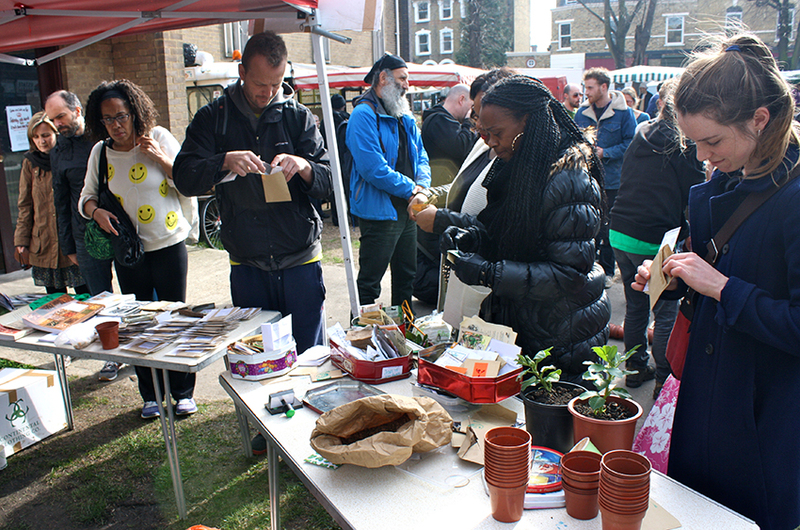 Social media; The Plot; appearances in national media; and our beautiful banners, posters and pamphlets means recognition of CFGN as a kind of “political wing” of London’s community gardens stretches well beyond community food growers. I can’t pretend to have done much research for this piece, but I’m aware of the loose network of projects in Oxford, who most notably organise to put on the annual Oxford Real Farming Conference (ORFC). Starting as an alternative the big NFU and corporate sponsored Farming Conference, ORFC aimed to return communities and environment to the heart of food growing. Last year ORFC attracted more people than the “mainstream” event. We are on the move! The Bluefinger Alliance arose in Bristol last year to defend allotment, community garden and CSA (Community Supported Agriculture) land from being built on for the council’s Metrobus scheme. 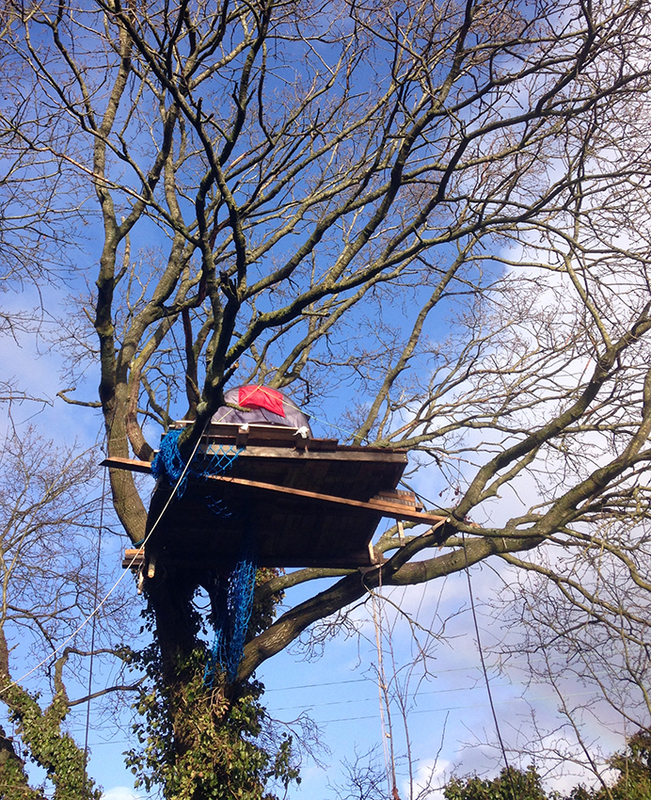 The campaign was impressive, the scenes of protestors camping up trees reminiscent of the roads protest movement of the 1990s, but to lose our first big confrontation, in one of the country’s strongholds of alternative food activism, is quite a blow. Reaction: a harking back to some Golden Age; Retreat: a sheltering in individual self-sufficiency as a response to the Crisis; Reform: the pursuit of piecemeal social and environmental improvements; and Revolution: a belief that the Crisis is systemic, so a transformation of whole systems is required. It was argued that our aims should be “progressive”, i.e. Forwards, not Back, to the Land!, but whether discussions have shifted the centre of gravity more towards one position than another, is another discussion! It was suggested that the issue of land, its access, ownership, use and control, is a concern common to all CFPs, and could provide a key focal point to take action “beyond the garden”. As we approach CFGN’s Summer Gathering, and members vote to decide on the network’s first Annual Campaign, it is interesting that the nominations reflect a broader concern around land and property. 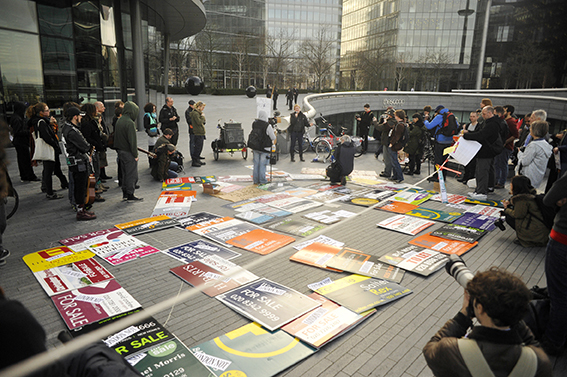 Whilst CFGN has no formal affiliation with housing rights groups or Land Workers’ Alliance, some members have been active across this spectrum, and we have shared platforms, events and actions with them. It was muted that, even on finding shared political aim, for CFPs to be effective they would do well make common cause with a broader social movement/s. Examples were given of how CFPs have played a valuable role in a wider movement. The Land Workers’ Alliance, mentioned above, was founded in the UK since CFGN, and as members of La Via Campesina they provide a link into the international movement for the rights of small farmers. This has been a fascinating development. In the meantime, the Tory win in the last election signals a likely ramping up of public spending cuts and property speculation, which spells hard times for London communities. 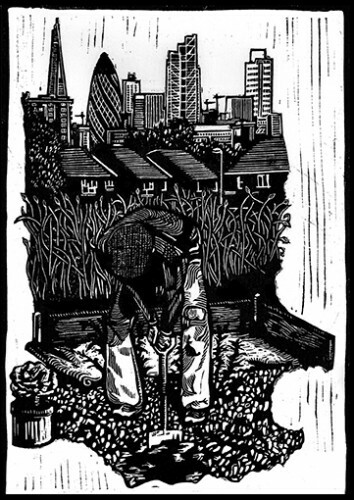 One way or another, CFPs will be effected by this situation, but as a small, fragile-yet-resilient movement, we stand to play a vital role in opposing austerity: by practically demonstrating how, in hard times in the hard city, people can come together to meet their basic needs, with generosity, ecological sensitivity and joy. To be part of more conversations like this and how to build the food sovereignty movement in the UK register for the national gathering on the 23-26 October in Hebdon Bridge.